Lauren is a really physical outside attacker, who has made a real strong commitment in the weight room. She’s not a huge high flyer — at camp she was at 10’3″ — which is still close to three feet above the net. I really think her strength is her physicality. She led her team to the State championship in Minnesota. 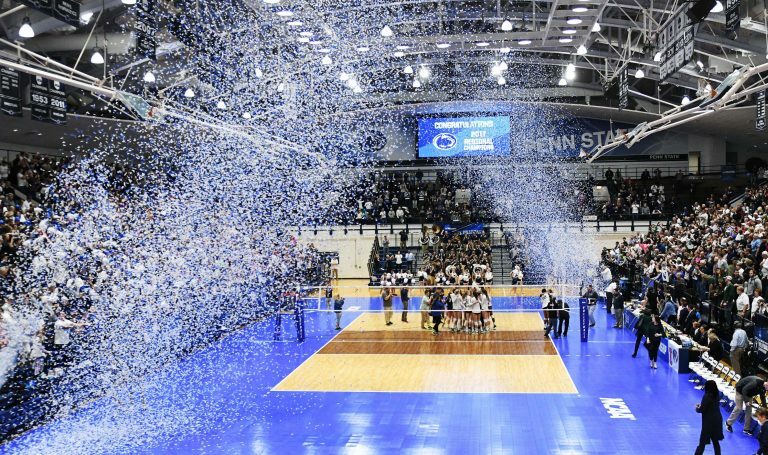 Minnesota is one of the states where I think volleyball is played at a very competitive level. Lauren has a good arm swing, she has a great work ethic, and she has shown great improvement this past year. She’ll be coming in mid-year, which is a good thing in this case, with both our outside hitters being done with their eligibility. She’s a good volleyball player, but someone who has worked really hard in the weight room to get stronger and I think her strength right now is that she’s stronger than a lot of her peers. I think her game will get better as her volleyball IQ and comfort level playing the game improve. She’s not a true six-rotation player right now. She’s probably more of a front row player. Lauren is probably similar to Nia [Reed], except Nia is bigger and touches close to 10’10”. 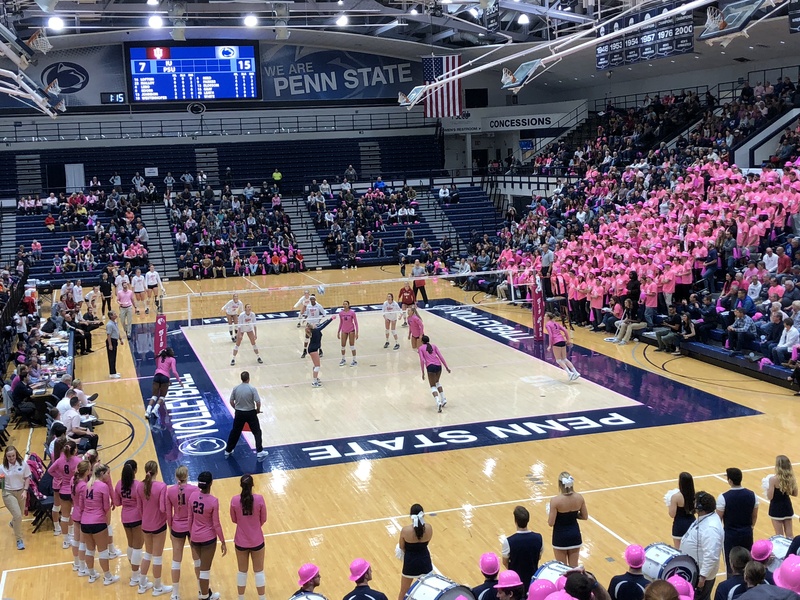 According to multiple sources, Lauren Clark, a 6-1 OH who plays for Armstrong High School in Minnesota, has verbally committed to play for the Penn State Women’s Volleyball team, starting in the 2019 season. Welcome Lauren! Clark, a 6-1 outside hitter, led the Falcons with 444 kills this season. 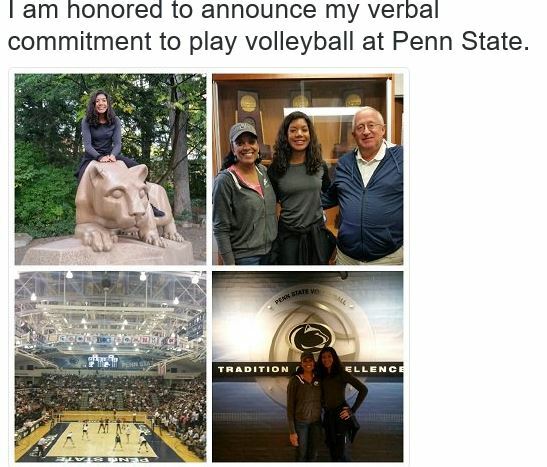 She recently verbally committed to longtime Big Ten and national power Penn State. A: My mom played volleyball and I’ve always been one of the tallest people my age. I was just drawn to it. A: [Blocking] sounds a little mean, but shutting down another person, that kind of feels good. Q: What is your top skill? A: The last time I checked, I had a 32-inch vertical. I’ve trained really hard, but a lot of it comes naturally. A couple of times I’ve been hit in the face because I’ve jumped too high when I was blocking.